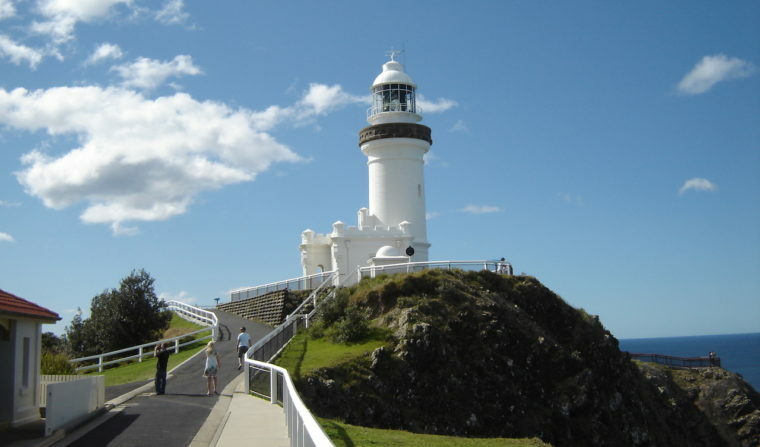 Byron Bay lighthouse. Photo: Yortw via flickr. 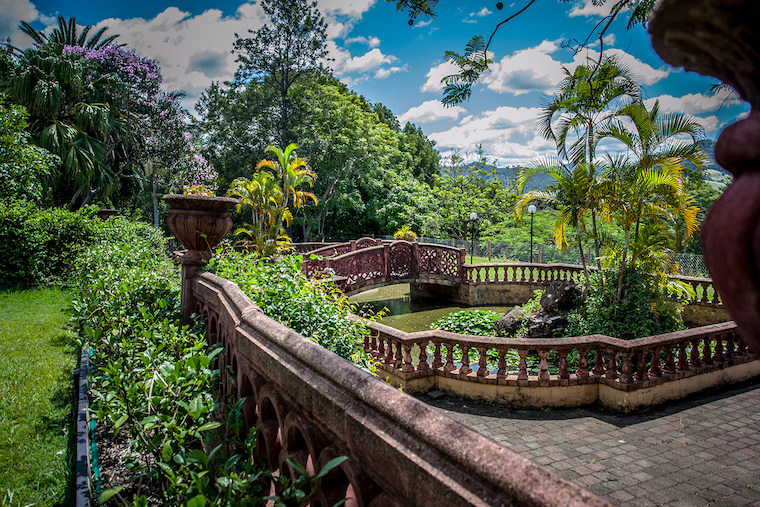 News from the front desk Issue 419: Byron Bay on the NSW north coast is not just an iconic holiday destination but a highly green one. It’s also a bit of a “canary”. If Byron can’t make good planning and a healthy environment stick, with its lush history of hippies and deep greens, then it’s going to be a lot harder for anyone else. So it was instructive and maybe slightly unnerving to call in there (briefly) to chat with some locals and find t not all is well in Paradise. In so many ways Byron is a microcosm of the increasingly uncomfortable tension between maintaining or protecting great places and sharing them with others. So yes, to be brutal, a conflict, that as populations surge, geography starts to become a stronger definer of privilege and opportunity. Especially given the irresistible pulling power of centre of activity and talent. At Byron Bay, the early hippies came in old cars and vans, camped in tents, unrestricted by rules or regulations, lived in old fibro shacks. Some moved into the hinterland, colonising old farmlands and sleepy villages. Others bought blocks of land at Wategos Beach, where the first subdivision in the 70s would have set you back $700. Today one long term resident of the area sold a 56 acre slice of rural paradise and fabulous house outside of Byron for $6 million and swapped it for a modest one bedroom cottage on Wategos – for around the same money. Others property stories are even more impressive: a fisherman’s shack sold for $16 million; Chris Hemsworth’s enormous celebrity pad nearing completion and stunning the locals with its scale. The celebrity and billionaire pulling power of the town is legendary. But lurking beneath the glamour and natural beauty are stories of the stifling by-products of success, left unchecked. 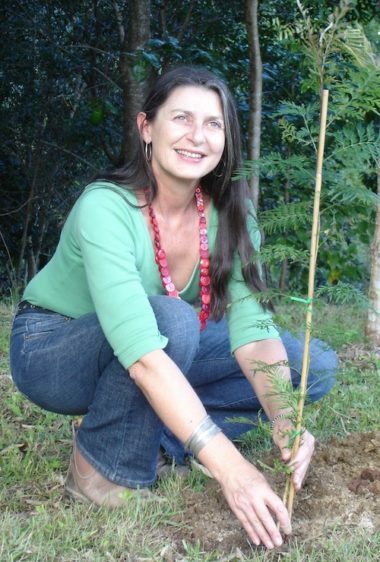 Former long term mayor of Byron Bay Jan Barham renowned for her feisty defence of the town’s inhabitants and its green agenda says Airbnb and its forebear homestays are a scourge, robbing the town of affordable accommodation and putting enormous pressure on services and development. At its worst, after 9/11 and the Ansett pilots’ strike when no one wanted to go on a plane, some houses had 30 occupants for the summer, she says. Locals were pushed out through noise and rowdy teenage-style behaviour. When Barham wanted to curtail the rampant holiday letting, one owner complained his business of renting 30 houses in the town would be badly affected. Current deputy mayor Michael Lyon agrees housing is a serious issue and says a policy to limit Airbnb rentals to 180 a year would be hard to police. The area is swamped with 2.2 million visitors a year for a population base of 30,000m, he says. It That’s a tourist density to resident ratiothat’s probably the highest in the world, he says and it puts enormous strain on infrastructure. The state government gets a big whack of GST provided by Byron’s tourists, but gives very little back to help the town manage the impact. The infrastructure shortfall is about $100 million, he estimates. Locals also complain that development controls have been eroded in recent years, mainly after Barham left in 2012 when she was in state Parliament and a Greens councillor Rose Wanchap, switched sides giving conservatives the balance of power. Lyon says the current crop of councillors has done a good job of reversing the damage done and that the council is now almost entirely on the same “green” page. “I’m proud of the current council because even though we’ve had our differences it’s become more collegiate; it’s a good team,” Lyon says. He says a commercial development in town, the Mercado, on the site of the old Palace Cinema, produced a good result, with 5 star Green Star, high energy efficiency, and a development more modest than it might otherwise have been. And it’s kept out fast food chains such as McDonalds and KFC. 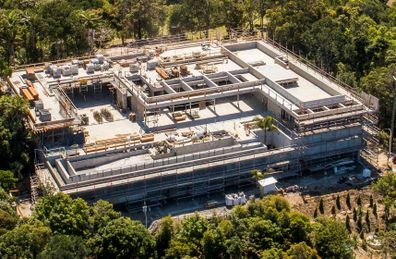 Another controversial development is West Byron on the entrance to the town from the freeway that could house up to 1000 dwellings after dual occupancy. Lyon says 2o0-300 dwellings are more appropriate. The site wasd first owned by developer Terry Agnew who is understood to have first bought out Crighton Holdings and, according to a media report in 2017 is now in partnership with Gold Coast developer Villa World Ltd.
Another big issue is the conflict between the owners of expensive property on the ocean front facing rising sea levels and the council’s policy of planned retreat, which encourages development to move away from the shore rather than try to outbuild the tide – so to speak – with sea walls and raised houses. One such recent battle was won on behalf of planned retreat and against three property owners at Byron’s Belongil Beach in the NSW Land and Environment Court in a 21 December decision by Justice Brian Preston. Lyon says there will be “a number of battles” about planned retreat.”A problem, he says, is the pressure that well-heeled and well connected owners are placing on state government to allow them to protect their property. He suspects it’s the reason council’s coastal zone management plan submitted under old legislation to the Department of Planning has not been ratified. Barham is delighted with Justice Preston’s decision. She’s read the judgment several times and says it’s a work of beauty. A sweet irony perhaps is that Preston represented Club Med years ago when it wanted to build a huge development at Byron, and lost. When we called she was part way going through her archive of materials on local politics and activism stuffed into a double garage and which she’s recently dived into for a documentary on the area by Sharon Shostak. The thing that people don’t understand, Barham says, is that between the 50s and the 70s there were around 30 cyclones that pummelled Byron Bay. It’s the kind of thing that newer residents or property owners who don’t live there might easily not know. During her term on the Byron Shire Council Barham did her best to make people aware of the environmental needs of the area they lived in. 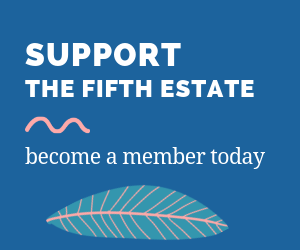 She had a long stint in council, starting in 1999 as councillor, ending in 2012 after she was elected to the NSW Legislative Council and when the state government brought in laws to prevent dual membership of state parliament and local councils. Council did not allow development in areas considered at risk. But decisions made under the previous council influence were now coming home to roost. She thinks the current mayor Simon Richardson is more inclined to mediate outcomes with developers. At the same time “some of the country’s richest people” moved to the area and were not going to let the council tell them what to do, she says. This combined with the NSW Labor government’s Part 3A reforms that allowed the state government to override local government on big developments. “The funny thing is that I just found some old late 80s and early 90s articles in local media about greenies who just want to take away the rights to your land and all this environmentalism will send everyone to the poorhouse. “What we did by protecting those areas was to make this the most valuable real estate outside Australian capital cities. These days a lot of people have been worn down, she says. But the recent rise of the hard right climate deniers in the US and Australia had shaken people awake. The students strike late last year is part of an awakening that has energised people. But campaigning for the environment can come at a personal cost. In state Parliament when Barham’s put forward a climate change bill she had to endure comments from then environment minister Mark Speakman, now Attorney General, that she wanted everyone to become a vegetarian. It was nothing of the sort, “it was a governance bill that government must report and have climate change action plans across all agencies”. Barham also faced death threats and a constant rumour mill, but the counter for that she says was to simply go out and mix more with community groups. She’s a big fan of “slow democracy”. “More consultation, take more time, gather more evidence. I’ve always been very conscious to be science-based and was very grounded in really strong principles that on a personal level I was doing the right thing. “I always felt the community had my back and this is where people get confused about what politics is: it’s never about you; you are representing the community and their children and their children’s children. It’s about the future. It doesn’t mean you have to please all the people all the time, either. “People can wear an outcome that goes against them if the process has been fair. I’ve had people who would accept if something they were personally attached to didn’t go their way but knew that for everything else we did it was always in the best interests of the community. How does Barham reconcile the tension between the green agenda that protects the environment and people and a social equity agenda that could reasonably argue that the best places could be more equitably shared? For instance, Philip Bull in this Spinifex contribution, says strong zoning tends to entrench social and economic privilege, attracting and enabling the most talented and well-heeled to prosper and excluding others. Those tensions between the haves and the have-nots of a beautiful environment? “There’s a tension because it’s a fact, Barham says. “There is a carrying capacity. Look what’s happened with the fish kill [at Menindee]. Water is deprived from the ecosystem because there is a commercial priority given to the cotton farmers. But at Byron strong protection of the environment means you can be offered $16 million for your property. But if you love the area it might be theoretical. This is only half the site – there is a DA for the other half of W Byron for over 300 dwellings. Added to that are the inevitable dual occupancies and granny flats and it creeps up to close to 1000 dwellngs – equal to a 20% increase in Byron Bay’s housing stock and population. On a wetland area that will be drained into Belongil Creek that is part of Cape Byron Marine Park and which contains a koala habitat corridor and is home to 2 listed threatened frog species. Added to that it is on Ewingsdale rd, the main road into town which is so congested at peak hour and in holiday season it takes up to 30m to travel the 8 kms from the highway into town. Thank-you Jan Barham for representing the locals during your stint as Mayor. What an amazing woman and leader.